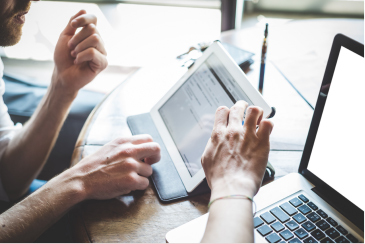 Epidemiologic research over the past several years led by Center researchers has established the contribution of hearing loss to the risk of cognitive decline and dementia in older adults. A conceptual framework developed by Center faculty members (Frank Lin, Marilyn Albert) describes the mechanisms that may underlie these observed associations and serves as a guide for current research efforts. Recently, a convened Lancet commission report on dementia, released in July 2017 and drawing primarily on work from Center researchers, concluded that among all known risk factors for dementia, hearing loss is the single modifiable risk factor carrying the greatest population attributable risk, exceeding the risk conferred individually by hypertension and other factors. The Aging and Cognitive Health Evaluation in Elders (ACHIEVE) is an ongoing, large-scale randomized controlled trial. It is a first-in-kind, $16 million research effort led by Center faculty designed to definitively determine if treating hearing loss in older adults reduces the risk of cognitive decline and dementia. This study is sponsored by the National Institute on Aging (Clinicaltrials.gov Identifier: NCT03243422). In parallel, concurrent research by Center researchers, including Jennifer Deal and post-doctoral fellow Nicole Armstrong, is actively focused on how hearing may affect brain structure and networks, and the role of hearing loss in accelerating risk of cognitive decline in relation to other risk factors. 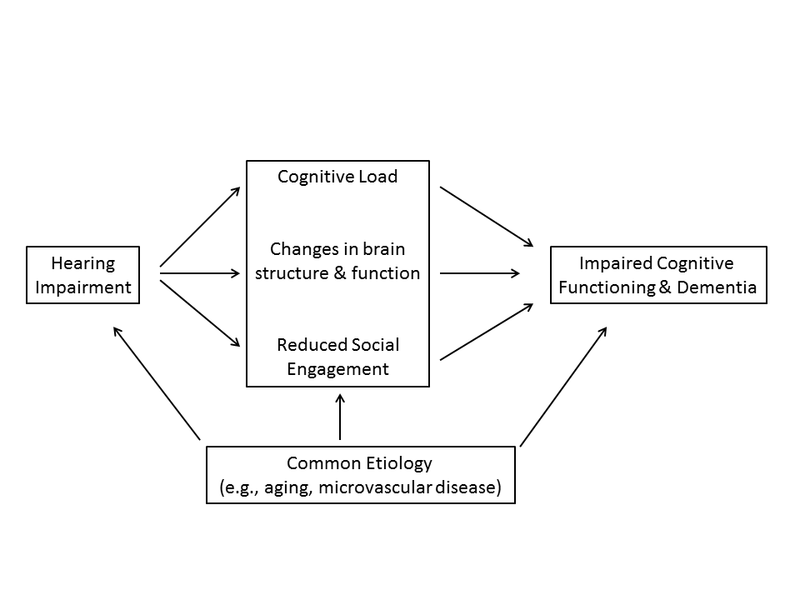 Figure: Conceptual model of hypothesized mechanistic pathways linking hearing loss with cognitive impairment and dementia in older adults. Lin FR, Albert M. Hearing loss and dementia - who is listening? Aging Ment Health 2014;18(6):671-3.